Try this wonderful Slow Cooked Aji Limo Pork Roast recipe! 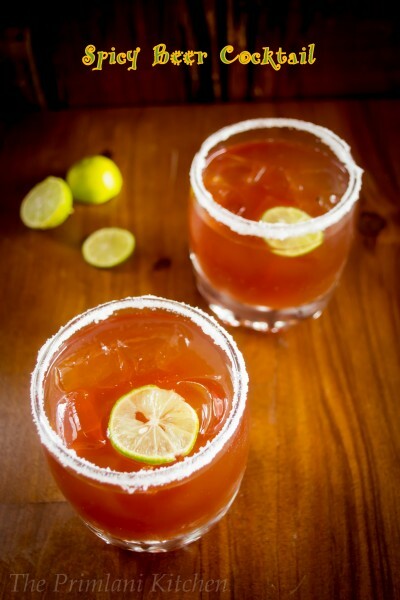 Michelada is basically a beer cocktail made with Mexican beer, lime, tomato juice, spices, and sauces. Sort of a spin off on a Bloody Mary which happens to be a good remedy for hangovers too. The reason I chose to make this cocktail was because there is no rigidity to it. 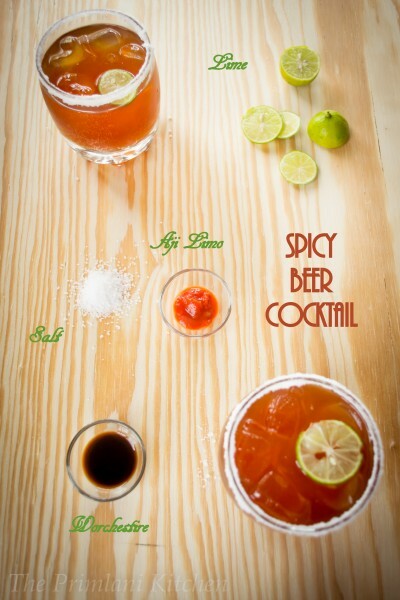 You can connote it to suite your palate – spicy, mild, or medium. Experiment with the assortment of spices to see which one you like best. Watch out for the Limo though, it is ‘spicy’ & will surely kick start your day or evening!! Aji Limo Organic Paste is a chili grown and used mostly on the northern coast of Peru. Aji limo is spicy (a heat level of 8 on a scale of 10; 60,000 Scoville units) and is primarily used to prepare ceviche and rice dishes. Though in my humble opinion, it pairs fantastically with cocktails too. Dip a cocktail glass with lime juice and kosher salt. Add lime juice, aji limo paste, black salt, and Worcestershire sauce to taste and stir. Fill the glass with as much ice as you prefer and pour the beer in. Give a little stir and enjoy!! You can use all of the above listed ingredients or experiment with a few. That’s the beauty of this cocktail. Just pour, mix, and enjoy it with your family and friends.